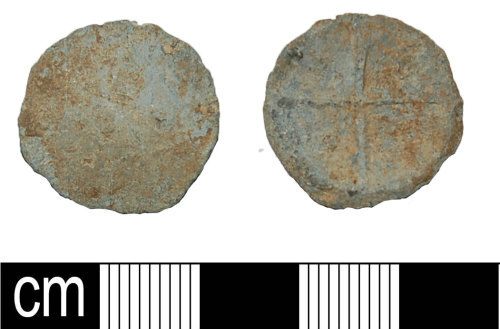 A lead uniface token, dating to the medieval or post medieval period. The token is circular in shape and lentoidal in section. Its upper surface is decorated with a moulded cross. Its lower surface is plain. The token measures 20mm in diameter and weighs 9.16g.